Ever since my previous (and mostly correct, but more on that at a later date) article about Super Smash Bros. Ultimate, I’ve been wondering about whether there would be DLC despite the tremendous base roster. This was answered last week with Masahiro Sakurai himself confirming during the Smash Bros. Direct that there would be five future characters added to the game as downloadable content. My mind started whirring with who these could be, and so I thought I would share some of my wilder picks from the wide expanse of Nintendo’s history. The only caveats I have for this list is that there can only be one per franchise (or else I would probably pick entirely Fire Emblem characters) and the characters most definitely must have appeared on a Nintendo platform at some point (of which I will list their first Nintendo appearance). Ready? Sure you are! 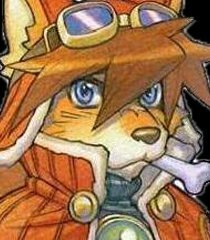 In terms of gameplay, Red has a tremendous amount of diversity that could be used in a moveset; either going with just the anthropomorphic dog with sword and gunplay, or having him purely fight from within his mecha, throwing opponents around with his almost insulting arm range. 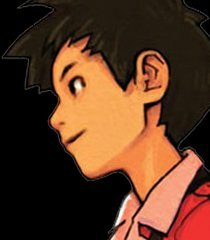 We all know what his Final Smash would be, and what it would relate to, but I’m hesitant to mention it just in case people are yet to play this incredible little DS title. Surely this is a no brainer? Until the addition of Kingdom Hearts: Dream Drop Distance to the Kingdom Hearts 2.8 collection, the only place that you could actually find any of the cast of the incredible The World Ends With You was on Nintendo platforms. 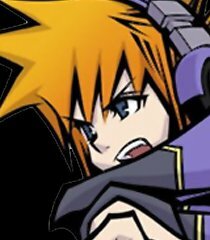 I was tempted to have Joshua as my pick from the game, but it can’t be denied that Neku has the protagonist syndrome of just being too powerful. In fact, it’s that which makes him a great addition to the Smash roster. With the sheer amount of different powers that can be used just based on different Pins being equipped, he could potentially have a huge move list incorporating in fire, ice, lightning or even telekinesis. Furthermore, he could team up with Shiki, Beat or Joshua for a Fusion Attack as his Final Smash, launching everyone on screen. I’m aware that Advance Wars is already technically in the Smash Bros. series as an Assist trophy, complete with a little pixel army coming to attack opponents, but otherwise the Advance Wars series is not adequately represented in Smash. This is why I would love Andy to feature in the Ultimate game as DLC. All of his attacks could relate to either the Orange Star Army (tactical airstrikes, tank fire, or even using a helicopter as his up-special) or his trusty dual giant wrenches seen in his key art from Advance Wars and Advance Wars 2: Black Hole Rising. The most exciting thing for me is that his Final Smash could be his Super CO Power, giving him a health boost and temporarily increasing his power, defense and movement speed. 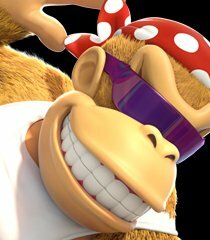 Funky is the best living member of the Kong clan. It would have been Wrinkly Kong, but the poor old girl has passed from the “mortal” plane, so it has to come to the most “too cool for school” Kong to take that crown. Originally debuting in Donkey Kong Country as the means of moving around the game, he was finally made actually playable this year in the Switch version of Donkey Kong Country: Tropical Freeze this year. The most interesting thing about Funky is that Sakurai would have pretty much free reign to do absolutely anything he wants with his moveset as there are only limited things that we know about the character as he has mostly been a side character. In fact, I want to put this pondering to all of you, what moves would you like Funky to have if he was added to the already enormous roster? One of mine would be having an attack similar to Link’s up-special but involving his surf board instead and used to slow landing speed. 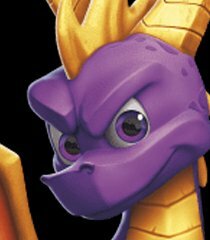 I have to admit that Spyro was a character I added to this list before researching whether he was actually a viable addition to the roster based on my own pre-requisites, so I was overjoyed when I discovered that there were several games featuring the little purple dragon across various Nintendo platforms (not including Skylanders because that simply doesn’t count – don’t @ me). The little dragon that could be a fantastic addition, bringing a different form of fighting to the roster in a similar way to Duck Hunt Duo, just without the high level of gimmicks. This being said, there’s enough in the history of the character that there a lot of different mechanics between the games that could make for an interesting move list. Especially if we were to get the skateboard from Year of the Dragon. This wouldn’t be a list from me without another Fire Emblem character because I most definitely believe that there are not enough characters from the franchise in Smash Bros, so I had to sneak one in. But I do agree, in all seriousness, with the criticism levelled that there are too many sword-using fighters in the previous titles (Super Smash Bros. for Wii U and Super Smash Bros. for Nintendo 3DS). 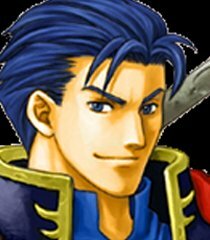 I could see Hector providing a wonderful counterpoint to the other characters from Fire Emblem with his far heavier, armoured frame and his earth-shattering greataxe. As a slower and more methodical bruiser, he could pose far more of a threat to the unsuspecting victim than those flimsy sabres that the rest of the representatives wield, just don’t give him a counter. Please. This, however, is just a jump off point. Who do you want to see in Super Smash Bros. Ultimate in the upcoming set of DLC characters? Don’t feel like you need to keep within the restrictions I set for myself either, say you could have your dream character, who would that be? Let me know in the comments, or on Twitter, if you’re that way inclined. Previous Previous post: RTG | New Stream Schedule, Return To YouTube, and More! Next Next post: RTG | Top 10 Games Of 2018!